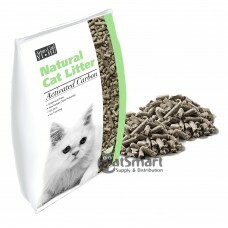 Aristo Cat Activated Carbon Natural Pine Cat Litter is a natural high quality standard product. 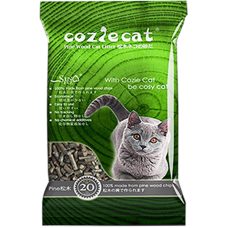 It i..
Cozie Cat pine litters are safe, effective, and good for the environment. The highly absorbent pine .. 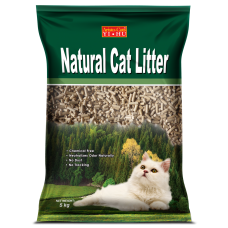 There are numerous benefits when you choose to use pine cat litter. They are hygienic and will not stick on your feline’s hair and skin. 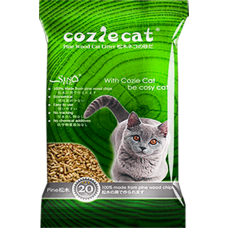 Pine cat litter is also dust free, which prevents any respiratory tract complications. 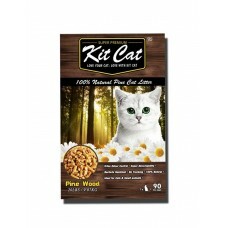 They also offer one of the best natural odour control, as most pine litters will release a refreshing light natural pine scent, perfect for cat owners who dislike artificial fragrances. As they are biodegradable, pine litter can be flushed down the toilet, or even serve as your garden fertilizer. 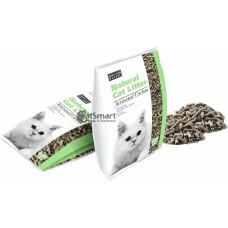 Safe, effective and better for the environment, pine cat litter is a good option for many cat lovers.